Rumors of Obi-Wan Kenobi in Star Wars Rebels surfaced when a photo unveiled a preview of new Hasbro figure lines. In this preview, we saw “Rebels Obi-Wan Kenobi,” and recently, MSW released a set of details that revealed Obi-Wan’s introduction to the series as a hologram. Earlier this morning, both Rebel Transmission and Rebels Report caught hold of some new footage from a French trailer that confirms Obi-Wan’s presence in the series as a hologram. As Jason stated in our recent podcast, this could be the message Obi-Wan recorded for other Jedi to stay away from Coruscant in Episode III: Revenge of the Sith. 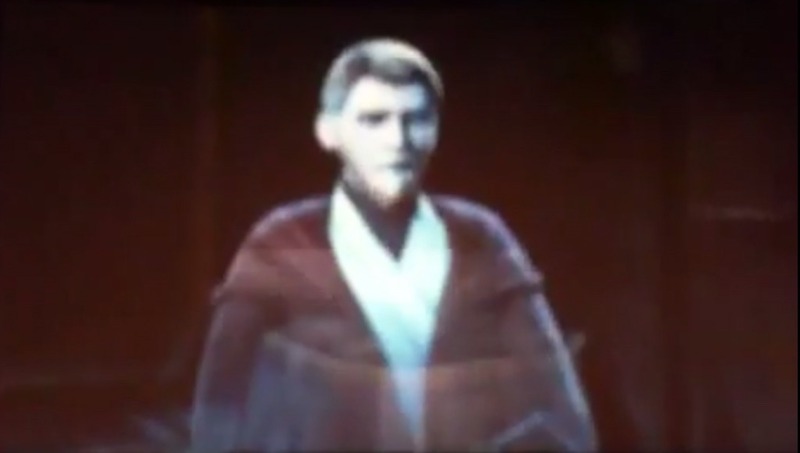 Here’s the image of Obi-Wan Kenobi as captured by Rebels Report.